A three piece train set created by Lego in 1935 was a popular gift for young boys. The three pieces included an engine, a coach and box car which were all painted in red and white. When selling to the right buyer, these three piece train sets can sell for upwards of $100. Made during 1923, the No. 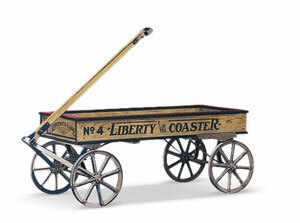 4 Liberty Coaster Wagon was hand crafted with wood and sold directly to small toy chains by the creator, Pasin. He would create these wooden wagons during the night and then attempt to sell them of a day. Although this first model was crafted of wood, later models were made of stamped steel. This wooden model was the first of many wagons to come. Depending on the condition, these wagons can sell for upwards of $400 today. 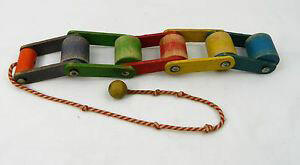 Another popular pull/push toy from the 1930’s was Pushcart Pete created by popular brand Fisher Price. This push toy has a man standing behind a cart. The mans head moves when the cart is pushed and the wheels turn. 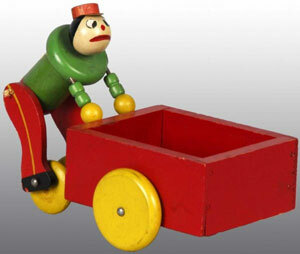 During 2007 a Pushcart Pete original wooden toy sold for $12,500 and in 2009 sold for $8,000. 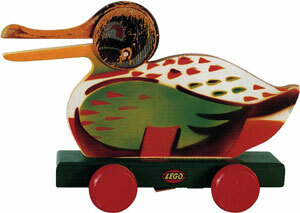 Depending on the condition, Pushcart Pete original wooden toys sell for upwards of $3,000. These toys have been around for over a century, dating back to 1889 although have thought to be played with by children earlier. This toy contains wooden blocks held together with string. An optical illusion is formed when the blocks appear to cascade down the string. These wooden toys would occupy children for hours. Although not the antique version, Jacob’s Ladder created by popular brand Hasbro’s Playskool, can sell for over $30. 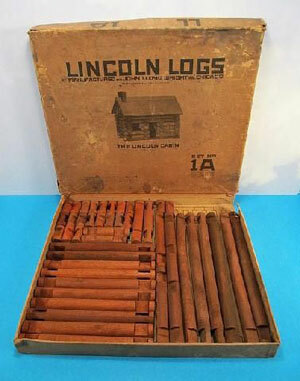 Original Lincoln Logs sets produced during the 1920’s were made purely from redwood. They would come with instructions on how to create miniature versions of two different popular cabins in America. Created by John Lloyd Wright and named after America’s 16th president, these building type toys would be one of the first toys to air on television towards the end of the decade. Original Lincoln Logs can sell for up to $600.